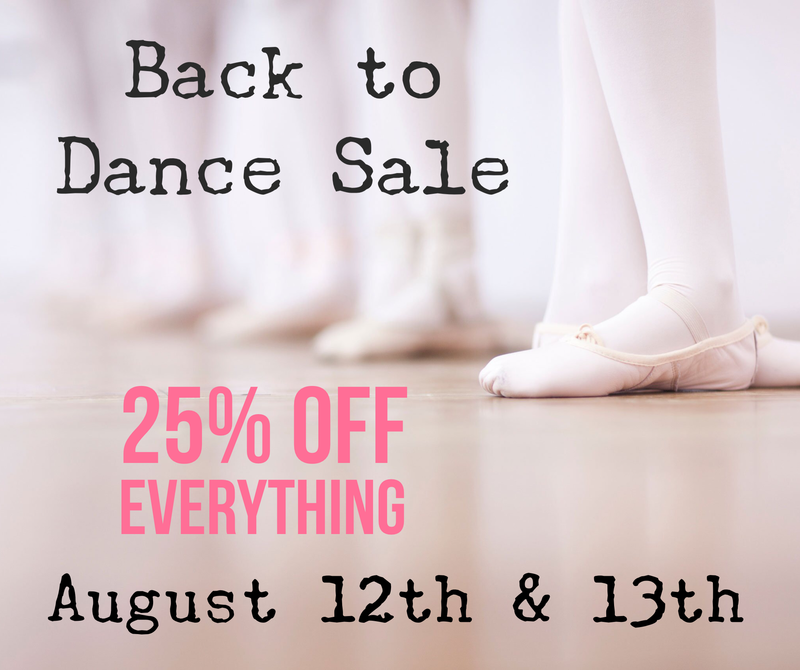 Back to Dance Season kicks off tomorrow with our Annual Back to Dance Sale! The sale runs all weekend, 11-5 both Saturday and Sunday! Both days enjoy a 25% discount off everything* both in stock and special order items! Come check out all the newest fall fashions in dancewear and enjoy some refreshments while shopping! Plus a free gift with purchase!